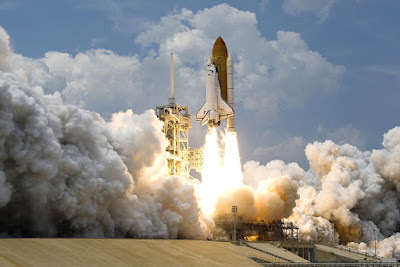 Even though one of the genres I write in is sci-fi (hello Lost Solace), and part of my educational background at university was science (astronomy and geology), it sometimes surprises people to find out that I am not really in support of space exploration and the idea of colonising other planets. It becomes less surprising if you know me well. I feel like humans should first learn to live in peace and within their means on this wonderful planet we have. At present, if we expanded to other places, we'd just keep up our current culture of massive consumption, over-expansion, waste, and perceiving everything we encounter (sentient or not) as belonging to us. We would miss the opportunity to change for the better. Poetry can gain creative strength from the restrictions placed on the form, so that every word (or even letter) counts. Without the restrictions a lot of writing becomes flabby and filled with unnecessary words and digressions, because there isn't a demand for discipline. We have everything we need on this planet, but haven't found any way to live within our means, or to look beyond our species' self interest. That's where I think most of our research should be going, to counter the unsustainable growth-is-good mantra that drives most of our economies. We already exist in the best of all worlds, and many people don't even see it. It doesn't take much imagination to identify what we're doing wrong, and to picture better ways of being. 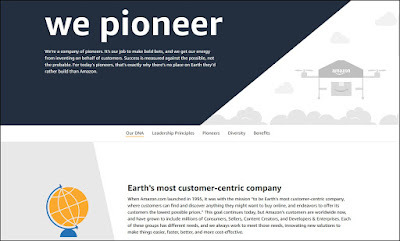 Amazon claims it is customercentric. Like many claims, it is hard to live up to the hype. Partly this is because Amazon is so big, it encompasses a bewildering array of services (also here). And, although you'd expect them to work together, that often doesn't seem to be the case. It appears that each sub-company has its own agenda, and there doesn't seem to be anyone at a level above the sub-companies that makes them work together effectively. As a result each sub-company can make decisions that are incompatible with other parts of the company, or with customer-focus. This is revealed by the cracks between the services. I'll list a few recent personal examples of Amazon companies that hammered those points home for me. I decided to try out the Amazon's Audible service for listening to audiobooks. 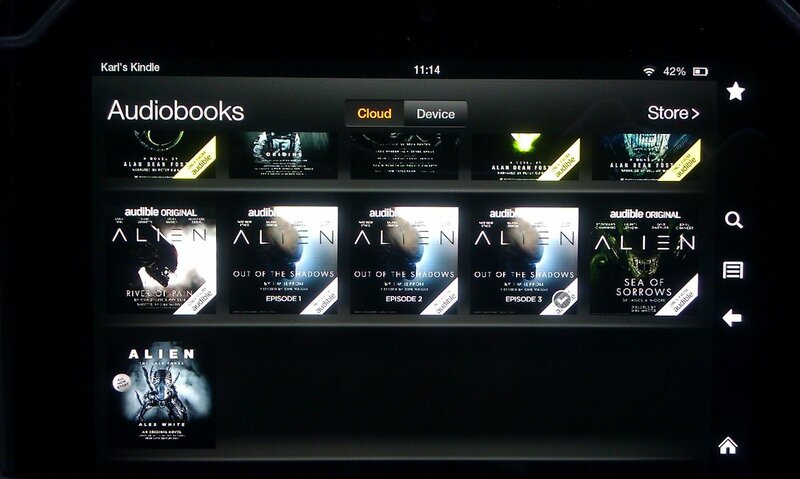 Audiobooks have a tab on my Kindle Fire (HD), so it seemed like it would be fully integrated. I bought the Alien: Out Of The Shadows audiobook. 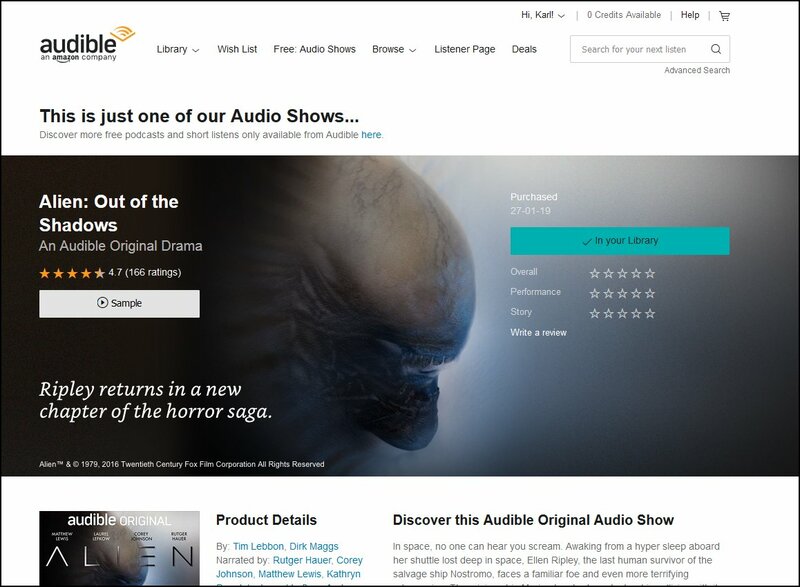 There was an easy-to-miss note on that page that "when you add Alien: Out of the Shadows to your library, you'll get all 10 episodes, each with a runtime of about 30 minutes" - that shouldn't be a problem. Sure, it is much more fiddly having ten separate files, rather than merging it into one audiobook of five hours as just about every other audiobook in Audible does (even the ones Audible produces itself), but hey ho, we can't expect sensible decisions from big companies. So one Amazon company is making and selling Audiobooks that don't work on hardware designed and sold by another Amazon company. Even worse, there is no note about this on the sales page - you only find out that you're wasting your money after you have bought it. That's stupid. At the very least there should be a big warning plastered on the page, repeated before you actually buy the audiobook. Even better, Amazon shouldn't be creating (this is an Audible Original) and selling audiobooks that are designed not to work on Amazon audiobook players. It seems to be something to do with the fact that the book has been split into ten files, rather than the standard single file, but of course it's impossible to get anyone at Amazon to explain why that's the case. The nearest I got was an Amazon customer service rep telling me (on 14th Feb) that some of the Audible audiobooks "are currently only available on the iOS app, the Android app, and the Desktop site". That's right - Amazon Audible make and sell audiobooks that only work on devices made by non-Amazon companies. Here's a bit more of the chat transcript, to show how much of a pain it is to deal with Amazon customer services, who seem to have no idea how Amazon hardware works. 05:28 PM GMT Shahab: Karl, I would like to inform you that Audio Shows are premium, commercial-free podcasts that can be purchased on Audible! Audio Shows are currently only available on the iOS app, the Android app, and the Desktop site. It has a normal price and description like all the others. 05:30 PM GMT Shahab: At the moment Audio shows are not compatible with Kindle devices. 05:31 PM GMT Karl Drinkwater: Then why has it downloaded three episodes to my Kindle? And why doesn't it say that in the description? 05:33 PM GMT Shahab: Are you using Kindle Fire HD? 05:34 PM GMT Karl Drinkwater: Yes. 05:34 PM GMT Shahab: Please sign out from the app and so not sign in until I say. 05:35 PM GMT Karl Drinkwater: It isn't an app, it is the "Audiobooks" option at the top, and is items on the carousel. I can't sign out of it. 05:35 PM GMT Shahab: Okay, please refresh the library. 05:36 PM GMT Karl Drinkwater: How? There isn't an option that says "refresh". 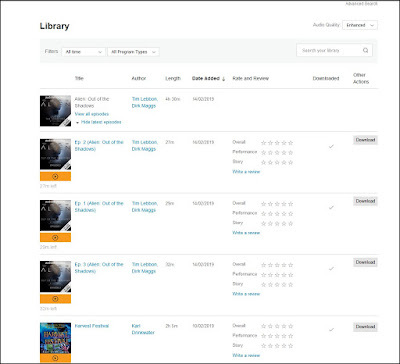 Just a toggle between Cloud/Device; sort by Author, Recent, Title or Length. 05:37 PM GMT Karl Drinkwater: And a toggle between list view and grid view. The rep was obviously using a different device from me, and had no idea what the settings on my Kindle Fire HD looked like. Amazon is not customercentric: it makes and sells things to customers without warning that it has made them purposefully incompatible with other things Amazon made and sold. Amazon companies don't work together well: shouldn't the Kindle Fire staff and the Audible staff make sure their two services are compatible? Amazon is poor at communication: Amazon doesn't warn you of any of this, or even seem to understand it. I obviously won't be renewing my Audible subscription, and I'd advise people to think twice before subscribing until they stop making some of their audiobooks incompatible with their own devices. Update on Audible [4th March 2019]: I've had various messages from Audible staff, often repeating the same cut-and-pasted text which isn't relevant to my questions, or repeating instructions to do something which I could already do and is irrelevant to my query and refusing to escalate it to someone who knows why the decisions were made, and can do something about it. 1. Why doesn’t the store page warn that the episodes won’t even work on some devices? 2. Why are these multi-episode shows made? They offer no benefit, only problems (such as not working, and requiring more fiddly files and downloads, and requiring ten catchups and ten lots of credits, all just wasting time). The logical conclusion (backed up by my next Amazon Apps heading) is that Amazon keeps changing things as a form of inbuilt obsolescence, trying to force people to throw away Amazon devices to buy newer ones. What a wasteful approach. Also, the newer Kindle Fires are worse than the old - the new ones don't have micro-HDMI for easy connection to TVs and projectors. 3. Why isn’t it just reformatted as a single file like all the other standard audiobooks? That would work for everyone. I can recombine audio files in a matter of minutes with free software, so I’m sure Audible could do this with no problem. So that could be done today. There’s no advantage to multiple files, just disadvantages. Even easier would be if Audible made the audiobooks available as mp3s, as music stores do. I've been advised that there is only one way to listen to these bizarre multi-episode Amazon Audible formats on my Amazon Kindle Fire: play the episode on my desktop PC, set free recording software to record the soundcard output, turn off the speakers, save the file as an mp3 that can be played on a Kindle Fire. It also shows the pointlessness of any DRM - it only causes problems for legitimate customers, and does nothing to deter piracy. If anything, it pushes people towards it! Amazon's Kindle App Store isn't selling apps, it is loaning them, and they can be removed at any time, even though you paid for them. spending money there. Why could that be? This is as anti-consumer as the issue with e-books too, which can also be taken away. Don't believe me? My own experience of this is related to an app called Songsterr that I bought on my Kindle Fire HD. It displays guitar tabs (plain text files) and I used it to learn new guitar songs. I'd bought it from Amazon when I got my Kindle Fire HD. Then when I tried to use it a few months ago it had stopped working, giving a network error. After spending a long time trying to resolve it, I contacted the developers of the app, At first they discounted what I said and told me "it looks like a local Internet problem", but eventually they admitted that they had made changes to their app which stopped it working with some Kindle Fires. It's frustrating, since Songsterr is mainly just a UI which makes calls to a database and pulls off tiny files (tabs). In those cases there are simple ways to do it that work with all devices, as happens with another guitar tab app I have since bought, which works with all Kindle Fires (at least, at present). I also contacted Amazon multiple times (I won't repeat all the dates here). Many of my messages were just ignored; one got a partial answer, but then became a black hole again, ignoring all the follow-ups. It took a stack of messages to even get partial answers from Amazon, and the app still doesn't work. 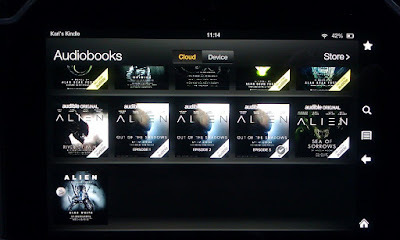 So, the app developers changed it so it wouldn’t work with the Kindles it had originally been written for. They said it is down to Amazon’s changes and request, not theirs; whereas Amazon implied it is down to the app developers. Obviously one of the sides is wrong, and they don’t seem to talk to each other. In my opinion, if an app is sold for a particular model of Kindle Fire, that compatibility shouldn’t be taken away later on, especially when it was a paid-for app. The issue with app stores (presumably the same with Google Play and iTunes etc) is that, as far as I know, you never get a DRM-free downloadable file that you can keep and reinstall if ever the main app is changed to be incompatible. I think it's one of the reasons why many people won't pay for apps, hence appstores being filled with spammy, privacy-invading ad-funded crud.Without any guarantees, who'd pay money for things they can't control or keep? Amazon could offer that guarantee if they wanted, but it obviously isn't something they care about, otherwise they'd do it. Other solutions would be preventing developers from changing apps to be incompatible with devices the app had been sold for. Or Amazon could set up a procedure to activate in those cases e.g. the customer gets a copy of the final compatible version that can be manually installed; customer gets an automatic refund; the old version goes into a separate app entry which they can still use, while the new version becomes a new app for sale. There are many solutions that could be found if a company wanted to be customer-centric. And when the apps the users paid for stop working, the only recourse shouldn't be to have to spend months and multiple avenues and a lot of luck trying to get a response about it. (Most users just give up.) But Amazon doesn't have any such policy to protect customers. They just ignore it if apps are changed so as to break on the devices the app had been bought for. And as far as I am aware, Amazon has no plans to change that policy (I did ask). The ability to back up versions of software for the future is why I now buy all my PC games on GOG, because I get DRM-free download files I can keep and install forever. I won't buy any more apps from services that don't put the customer first or protect their rights to use what they paid for, and I'll keep campaigning against consumer-hostile DRM. Amazon is not customercentric: it doesn't guarantee access to the software it sells, and can remove them at any point without even informing you. Amazon is poor at communication: no warning of this; most messages didn't even get a response. Amazon's ACX is one of the places where publishers can upload audiobooks to sell via Amazon and elsewhere. So, in that case, the publisher is the customer. Normally, the publisher controls the book description. This applies to the paperbacks and e-books sold on Amazon and elsewhere. But a frustrating thing I found out recently is that, for some bizarre reason, Amazon treats audiobooks differently. They have a team of staff at ACX who look at the book descriptions the publishers set for paperbacks and e-books, and then arbitrarily change them. I didn't even realise this until I was browsing my own audiobooks that ACX distributed. I discovered that ACX had changed the words and turned them into American English spellings, for no reason. 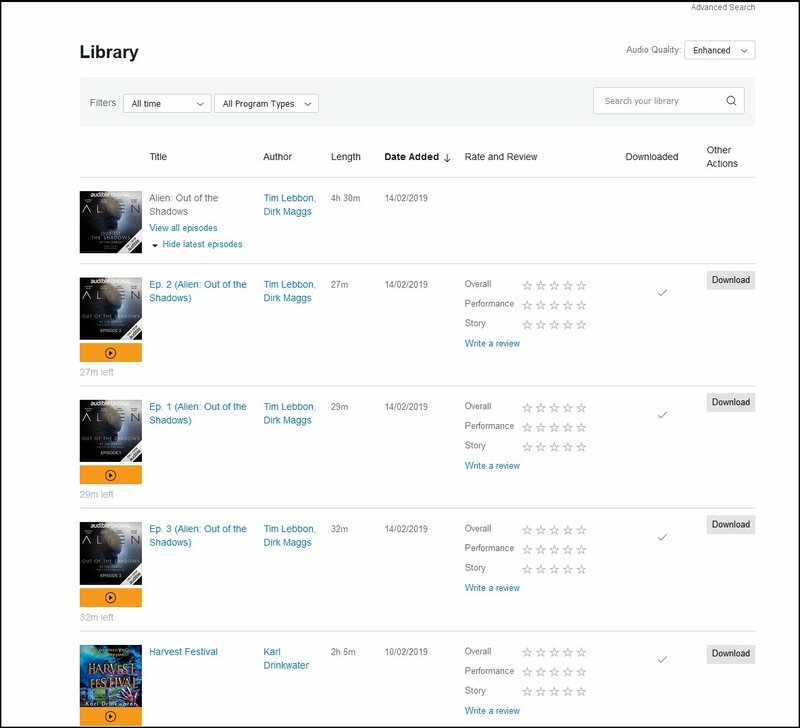 This meant that Amazon UK, selling my UK books, was showing UK English for the paperbacks and e-books, but used US English for the linked audiobooks. Likewise, Audible UK had changed my book description into US English (even though they don't do that for other books). And they hadn't informed me. I complained, and they changed it back to UK English. But this time they changed the paragraph breaks, merging and splitting them at different points for no reason. The Audible style guide requires us to italicize the names of ships, so I italicized Clarissa. Because of the style guide, I'm going to reject this request. I hope that clears it up!" No, that doesn't clear it up. They shouldn't be changing things based on limited information and style guides that don't necessarily apply! A book description is a teaser - it doesn't tell the whole story (that would be a synopsis). In this case it is much more complicated than the blurb lets on, because it's not the point of the blurb to reveal all the spoilers and plot twists. (Spoilers warning! ): the ship isn’t really called Clarissa. Clarissa is the name for one of the onboard AIs (which changes its name during the novel). The ship doesn't actually have a name - the nearest is a designation of ViraUHX, though that is over-ridden before the novel begins. The novel reveals that Clarissa is something else entirely. You can see why that has to be simplified for a blurb, where it isn't appropriate, yet ACX are actually comparing the blurbs of books to style guides and changing them based on misinterpretations. It makes no sense to italicise Clarissa any more than the other character’s name. This is the problem with misapplied style rules based on limited information. Amazon must have a lot of spare money to employ "metadata" staff to make changes to the descriptions of books they've never read, while also employing other staff to act as intermediaries going back and forth, all wasting time. All they had to do was repeat the blurb exactly as the publisher uploaded it, so that it is the same for each edition of the book (paperback, e-book, audiobook). Amazon is not customercentric : it over-rides the customer's choices, and doesn't even warn them, instead making daft choices and changing things that make no sense. Amazon is poor at communication: Amazon doesn't forewarn you of any of this, and then it requires back and forth with powerless intermediaries who can't make the change you request. Mmm, that's helpful. Amazon telling me I have a message but to read it I need to login, but it is an Amazon service where I don't have an account so cannot login. Was it about the Kindlestore App? A book order they'd screwed up? An incorrect metadata report from over a year ago? Who knows. Certainly not the customer. Amazon is not customercentric: it even locks the feedback links behind login walls the customer can't use, making it impossible to provide the feedback Amazon asks for. Amazon companies don't work together well: this might be related to a query to some other part of Amazon, who knows? Amazon is poor at communication: self-explanatory. (2013) Amazon support goes in circles: a past case of that game called "customer services runaround". It shows Amazon is not customercentric; Amazon companies don't work together well; Amazon is poor at communication. (2013) The ratings game: Goodreads and Amazon are both Amazon companies, yet their 5* rating systems are incompatible, showing that Amazon companies don't work together well. 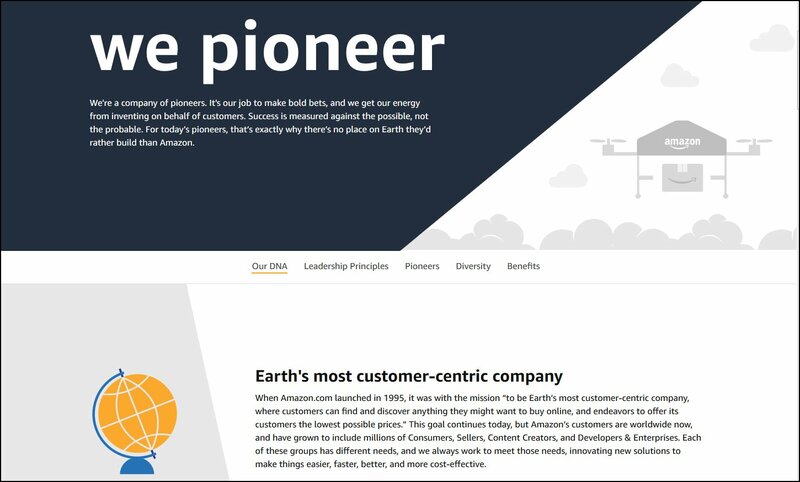 (2015) Amazon Can't Communicate: another past case of confusion and CS runaround, showing Amazon is not customercentric; Amazon companies don't work together well; Amazon is poor at communication. (2017) Amazon's Confusing Automated Accusations: more weird accusations from Amazon, without any clarification. Evidence for: Amazon is not customercentric; Amazon is poor at communication (tip: if you are an author, watch out for Amazon's data tracking leading to false positives). Bear in mind this isn't a comprehensive list (I haven't even mentioned the distribution issues where two Amazon companies posted incorrect information about some book titles, and their customer service reps gave bizarre and untrue responses to my questions when I asked about them ...), and I am only one customer. I wish it wasn't this way. If the Amazon services worked together better it would benefit the customer, the company, and the staff. Hopefully my examples point to what went wrong, and give ideas for how things could improve. But that requires someone high up in Amazon with the interest and ability to make those changes. In the month since I wrote this post none of the above got resolved, despite various Amazon staff contacting me. 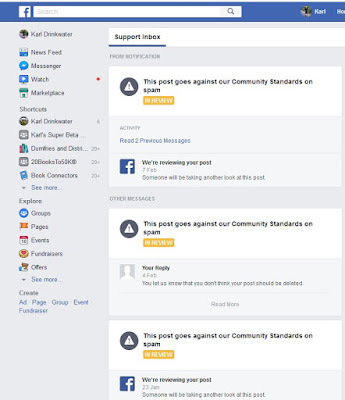 They always just repeated what had already been said, and refused to go into any detail about the problems or to respond to the suggestions and issues. One email on 7th March said "My name is Arfa and I work within Amazon Executive Customer Relations. 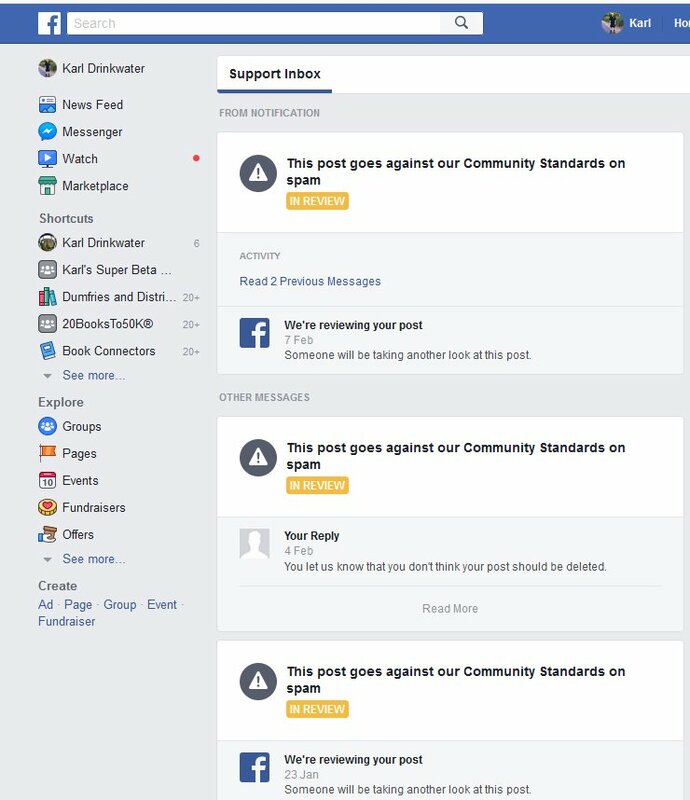 We received your recent e-mail and are investigating your comments. We will aim to update you within 24 hours." I never heard anything else from that person. There is still no way to listen to some Amazon Audiobooks on Amazon devices. 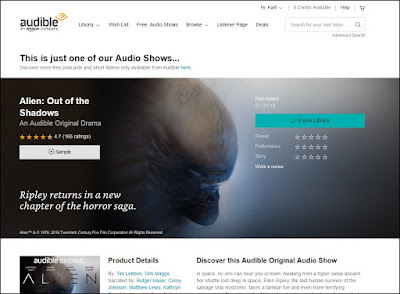 No answer to why Amazon Audible chose to make a new format for some audiobooks that is incompatible with Amazon’s own devices, and why they did that when the format doesn’t offer any advantage over a single book. No explanation as to why they don't change it so it works as a single book, or why they don't flag it up on the store page where the book is advertised. 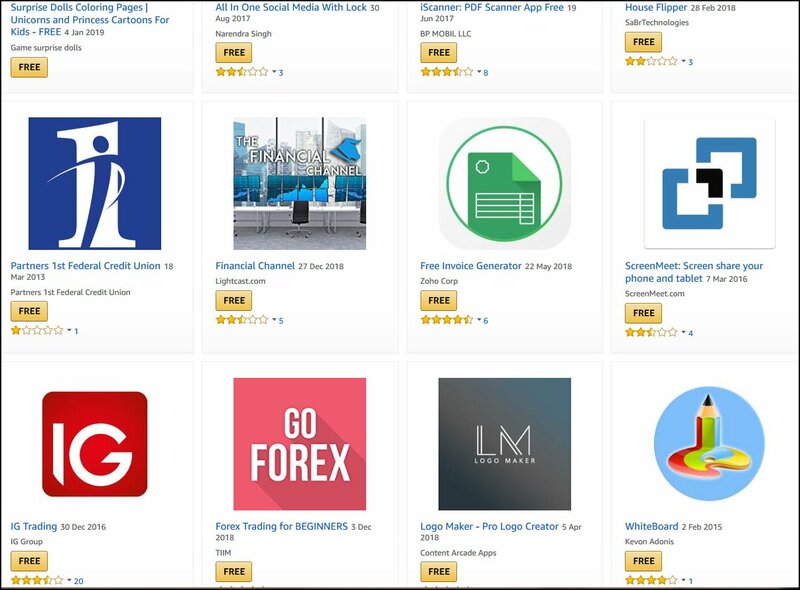 There is still no way to use the apps they sold on Amazon, and Amazon isn't changing things to make sure customers get refunds in those cases, or to force devs to give a working version. Amazon said “this decision isn’t in the hands of Amazon, but solely in the hands of the respective app developers.” – but only because Amazon chooses to do it that way. It’s Amazon’s app store, Amazon sets the rules. If they required apps to work on all the devices, or the ones it was sold for, or to have legacy versions, or to inform and refund people when apps are later broken, or to provide a backup file that can be manually installed in those cases – any of those could be done. It’s up to Amazon to set the rules for anyone selling in the Amazon store. It’s a cop-out to ignore it and imply Amazon have no control over something that is fully in their control. The lack of action is what I expected from Amazon, really, based on past experiences. "I appreciate this may not be the outcome you hoped for and apologise for any disappointment this has caused. Did I restore your trust in Amazon? Yes No Your feedback is helping us build Earth's Most Customer-Centric Company. Were they taking the piss? You can guess which option I chose.